Color:Silver + Blue Nail Drill Size: About 15cm X 2.5cm Electric Wire Length: About 64cmPackage Included: 1 X Electric Nail Drill MachineFeatures: 1. Light weight and portable that is easy to carry it. 2. The nail drill can be used for natural nails as well as artificial nails. 3. Both professional and home can use it. 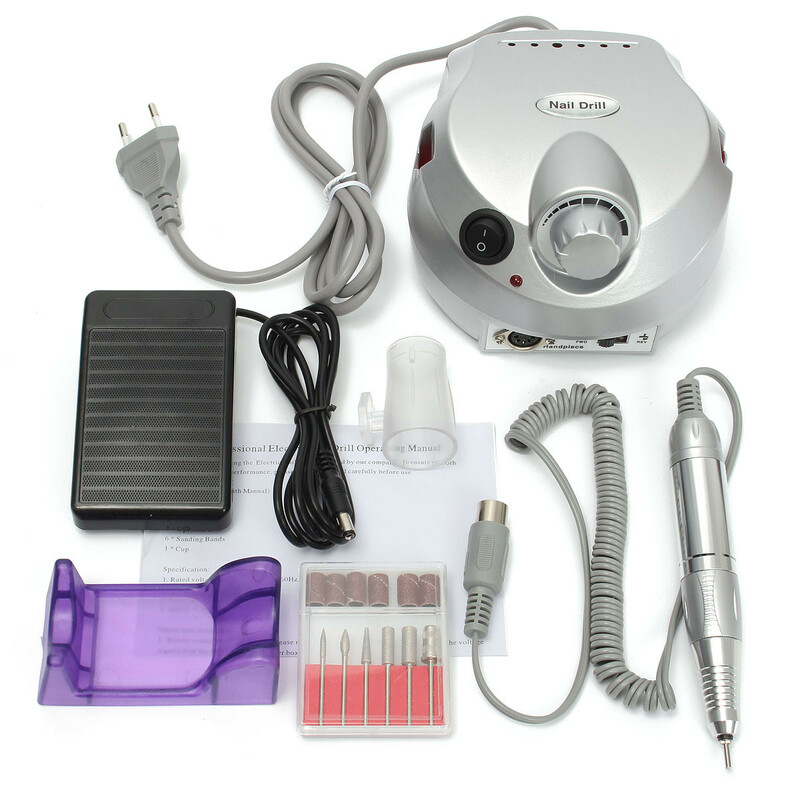 Item Type Electric Manicure Drill Color As the pictures shown Material Sanding bands + stianles steel Weight App 47.2 Box Size App 8cm X 3.8cm X 6cm Sanding Bands Size(approximately) 2.5cm X 1.6cm 2cm X 1.3cm 1.5cm X 1cm 1.3cm X 0.8cm 1cm X 0.5cm Stianles Steel Size 3cm Application For nail drill machine, carving, grinding, sharpening, sanding, polishing, drilling. Package Included: 5Pcs XElectric Manicure Drill Bits Note: 1. The real color of the item may be slightly different from the pictures shown on websitecaused by many factors such as brightness of your monitor and light brightness. 2. Please allow slight deviation for the measurement data. 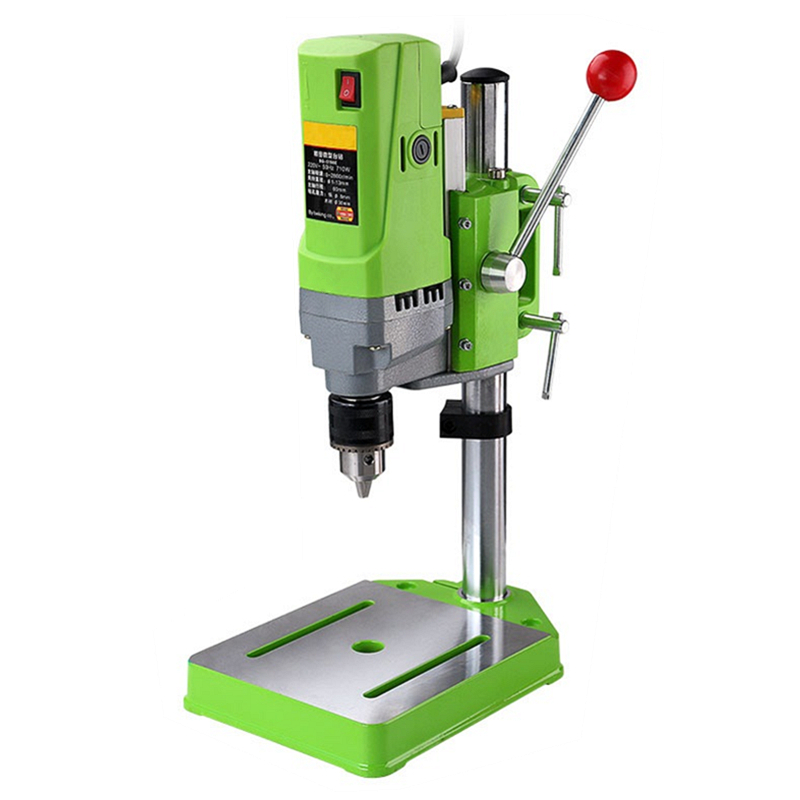 Color: Black Weight: App 1140g Input: 220-240V AC 50Hz Package Size: App 24.5 x 20.5 x 10 cm Rated Speed: 0-30000 RPM Package Included: 1 X Holder 1 X Foot Switch 1 X Main Machine 6 X Nail Drill Bits 6 X Nial sand bands 1 X User Manual Instruction 1 X Automatic Clamp Handle Please read the instruction manual before using this product. This product Voltage is 220V, the United States and Canada please choose the other 110V product. Note: 1. The handle must be put on the needle. 2. The incongruous parts is strictly prohibited. 3. It is strictly prohibited to energetically collision, especially the handle. 4. Do not overload use machine. 5. Grinding head will gradually wear and tear, at this time, please remove the old grinding head, replace the new grinding head. 6. Please keep away from children. 7. Please keep the environment clean. 8. Not for improper pressure force on the product. 9. To prevent accidental activation. 10. Determine the socket voltage volts. 11. After the product launch, please not to hand touch. 12. Please stay away from water and fire. 13. Don't use the product in the bathroom. 14. Use goggles to prevent dust and scurfy spray into eyes. 15. Please be sure to shut off the power when not in use. Item Type: Pedicure Nail File Color: As Shown In The Pictures Size: App 13cm X 0.8cm X 0.2cm Package Included: 1 X Pedicure Nail File Notes: 1. The real color of the item may be slightly different from the pictures shown on websitecaused by many factors such as brightness of your monitor and light brightness. 2. Please allow slight deviation for the measurement data.
. 300 x Nail Drill Sanding Bands ( 80" 120" 180") & 30 Nail Drill Bits. . * A: 300 x Nail Drill Sanding Bands 80" 120" 180" Brand new and high quality. . Suitable for manicure as well as pedicure. . Great for use in electric nail drills and other drills using sanding bands. . Can be used for natural nails as well as artificial nails. . Size: About 6mm (inner diameter of the bands) * B: 30 Electric Nail File Drill Bits. . Brand new and high quality. . Suitable for manicure as well as pedicure. . 30pcs nail drill bits with 3/32" shank size to fit most professional elecric drills. . Best for nail drill bits replacement. . * Package includes: 1 x 100 pcs Sanding bands for nail drill bits manicure 80# 1 x 100 pcs Sanding bands for nail drill bits manicure 120# 1 x 100 pcs Sanding bands for nail drill bits manicure 180# 1 x Set of 30pcs Electric Nail File Drill Bits. Item Type Nail Cleaner Set Material Stainless Steel Color Sliver Repair Leather Lnife App 15.8 X1.4 X0.2cm Manicure Knife App15.8 X0.9 X0.2cm Repair Feet Scraper App 17.5 X0.7 X0.2cm Features Full autoclavable. Reusable and durable to use. High resistance to corrosion and rust. Package Included: 3Pcs X Manicure Pedicure Knives Note: 1. Keep dry and store in ventilated place. 2. Tools is sharp, please use carefully and keep away from the children. 3. Please clean it after using it.